Blade is sturdily constructed, but has little value historically. The balance is WAY off compared to swords of the era, and the grip is way too large. A good choice for someone who wants something that LOOKS like a viking sword. Everything about this sword is absolutely perfect. I've had it for about a month now and use it all the time. It is extremely durable and lightweight. For any serious swordsman considering purchasing this blade: it's weighted at exactly the proper axis, so it's very easy to rotate, and it glides very smoothly with every strike. I will definitely buy more weapons from Cold Steel in the future; this company is top quality. You will not be disappointed with this weapon. 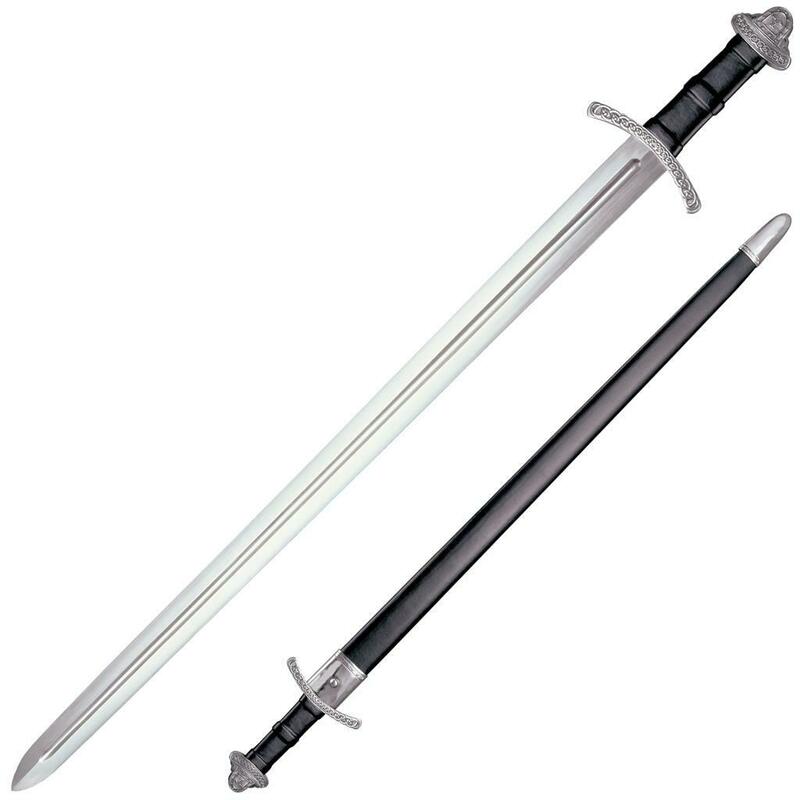 The sword is amazing the other comment pretty much sums up everything about it, it's solid and sharp, I like everything about it, it's decorative and i believe it could be used for self defense as well. My first sword I've ever had, and I'm not disappointed at all. Everything about it is solid, it doesn't shake or wobble. It has a balance issue, but aside from that it's a great buy. Epic! I can PWN noobs with this!